bluechem’s powermaxx High Performance engine oil system cleaner. Power and Energy for all gasoline and diesel engines, gearboxes and differentials. RACEAPPROVED, OEM approved, as well as TÜV certified. More power, less emissions, less consumption. 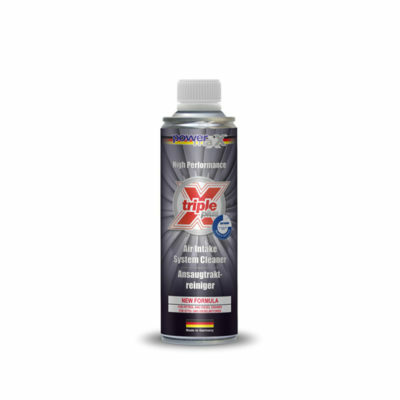 Highly recommended to use in conjunction with the Fuel System Cleaner before or after the oil change. 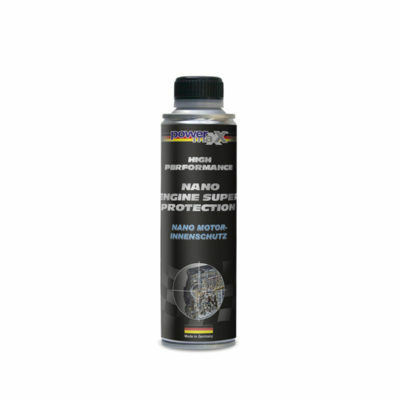 For extra protection add the Nano Engine Super Protection right after the oil change when adding new oil. Check out the video below the page for the commercial on the Oil System Cleaner. Add to the engine oil before the oil change. Allow the engine to idle for approx.. 15 minutes. Then do an oil change afterwards. The Oil System Cleaner can be disposed of in the same way as with the waste oil. I get my oil changed at Mando’s Import Auto Repair at 9595 Longpoint 77055 in Spring Branch. I had them put in a bottle of this stuff and the Fuel System Cleaner. Instantly felt a difference in the way my Tahoe drove. Great products! Super products. I used the oil system cleaner on 2010 Ford Edge with about 83K miles on it. Also used the fuel system treatment. Results are amazing. This stuff really works. Noticed more pep and throttle response. Fuel economy also increased from 16.5 to 18.7 mpg. I ran the oil system cleaner shortly after running the fuel system cleaner. I thought the fuel system cleaner by itself was great but doing both treatments together is greater than the sum of their parts. I can best describe the feeling of driving the truck post-treatment as the engine feeling more lively and fresh. It feels like it doesn’t have to work so hard to give you the same performance. You can absolutely feel the difference and your engine will reward you for giving it this attention. This is the best product of its kind I’ve ever used.I had my oil and filter changed at Mando’s Import Auto in Spring Branch. I added the Fuel System Cleaner an hour and half before the oil change and then added the Oil system cleaner right after. Mando’s has what you need. Amazing results and performance. I drive a 2008 Toyota Tundra 4.0L v6 with 125,000 miles. It’s my everyday commuter and I’m always on time with maintenance with the Toyota guide lines. A buddy of mine recommended me to give it a try on my next scheduled oil change and wow was I amazed ! I have in the past used other products but really couldn’t feel a difference at all but this Stuff is something else. Truck drives like the first day I drove it off the lot!! I did the Fuel Treatment a week ago so I decided to do this Oil Cleaner since I was due for a oil change. I changed my own oil and was told that the oil would not be that “gritty” texture when you rub it between your fingers…..Well it’s true!…Drove around a couple days and noticed between gears that it also felt “smoother” just daily driving in general was smoother. Hard to put in words but you know how your car sounds and how it drives. Try it, you wont be disappointed. I had such a good result on my car with the fuel system cleaner that I decided to do the oil system cleaner and the Nano Super protection together. I have a sport button on my Mini to change the way my car excelerates and the button felt like it had lost it’s effect. After the oil change I noticed that my car not only sounded better, it got it’s fury back and the sports button was working again. I take care of all my cars and I’m very in tune with the way the engines sounds, performs, and acts. Not only that, as I floor the pedal, the engine feels like it did the same day i drove it off the dealership. I definitely recommend the bluechem products! I met Joseph while I was driving with Uber . I have accumulated well over a 100,000 miles while driving with Uber. He told me about this product. I tried bluechem’s Powermaxx oil system cleaner, along with bluechem’s Powermaxx fuel system cleaner. I was blown away by the improvement on my engine . The engine idles much smoother , the car has greater pickup speed, and I also noticed much better gas mileage . I drive everyday with Uber so I know what my car is capable of. This product definitely made a great performance improvement in my car. GET THESE BLUECHEM PRODUCTS,THEY ARE AWESOME ! Thank You Joseph ! I’ve always been wary of products to add to your vehicle. But my truck wasn’t performing well at all, it had no power and seemed to hesitate when I needed power the most. My truck has 110,000 miles on it, so I decided to give bluechem’s Powermaxx oil system cleaner a try. I followed the instructions then went and got an oil change. I also used bluechem’s Powermaxx fuel system cleaner at the same time. I didn’t think I would be able to tell the difference but the change was undeniable. My truck feels and drives like it’s a new truck. The torque has increased significantly and the engine feels so smooth. This product is the real deal! Thanks Joseph for encouraging me to try. Awesome stuff!